In the space of seven days, to name just three of the more obvious offenses, alleged journalists at the Associated Press, aka the Administration's Press, told us that "home construction is near a three-year high," when it's nowhere near there; seemed astonished that presumptive Republican nominee Mitt Romney didn't serve up any "red-meat conservative policy" in a college graduation address; and wondered whether John Boehner and congressional Republicans are "deliberately stalling the economic recovery to hurt President Barack Obama's re-election chances." Oh, and it would appear that the folks at AP are coming down with a developing case of what I would describe as "thin-skin syndrome." 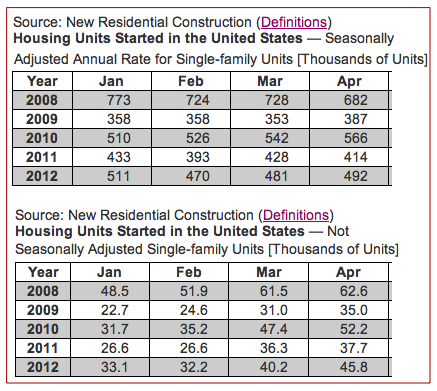 The "home construction" howler of May 16 came about because AP economics reporter Chris Rugaber, perhaps with help from a colleague who has made the same mistake, seems to believe that "housing starts" and "home construction" are synonymous. That's wrong on two levels. First, "residential housing" includes single and multifamily units; "homes" is a word usually reserved to describe "single family homes." 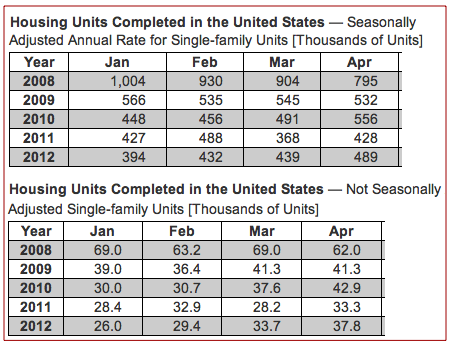 Second, the housing starts statistic, while useful as an indication of where the industry might be headed in the coming months, is arguably the least important of the three items one must consider to get a handle on the current level of "home construction" for comparative purposes. 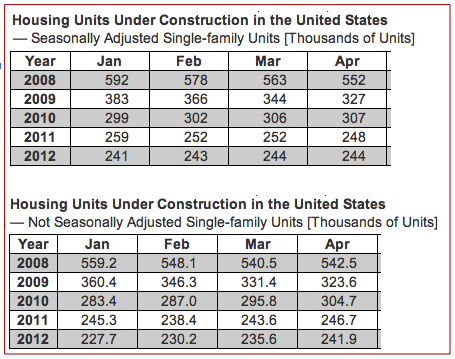 The other two, as seen in the Census Bureau's definition of "new residential construction," are "total units under construction" and "units completed." To paraphrase Munchkinland's coroner in The Wizard of Oz, Rugaber's statement that "home construction is near a three-year high" is not only merely false, it's really most sincerely false. If the AP reporter is unhappy with this inarguable contention, my response is: "Too bad, so sad, Chris."